British press photograph. Approximately 20 x 26cm. 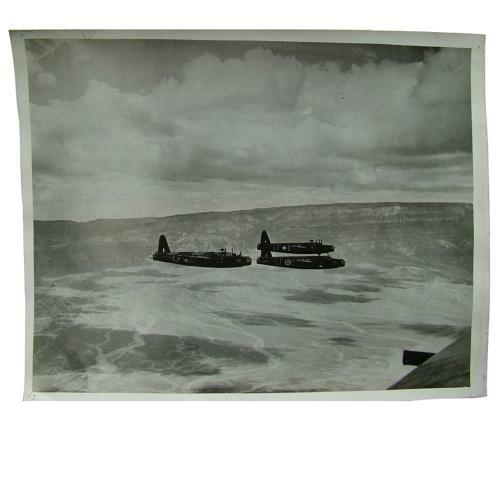 Shows British Wellington bombers in 'V' formation over the Western desert. Captioned to rear. Has glue/paper residues to rear as removed from an album at some stage. Pin holes at the corners and light creasing but generally good. Stock code P22873-81.